Okra is delicious when it's cooked right! There are many different ways to cook okra so it doesn't get gummy. You can freeze it first, cut it up into slices, or cook it on a high, dry heat quickly. Check your local farmers market for okra this summer! In a bowl, mix okra, oil, salt and pepper. 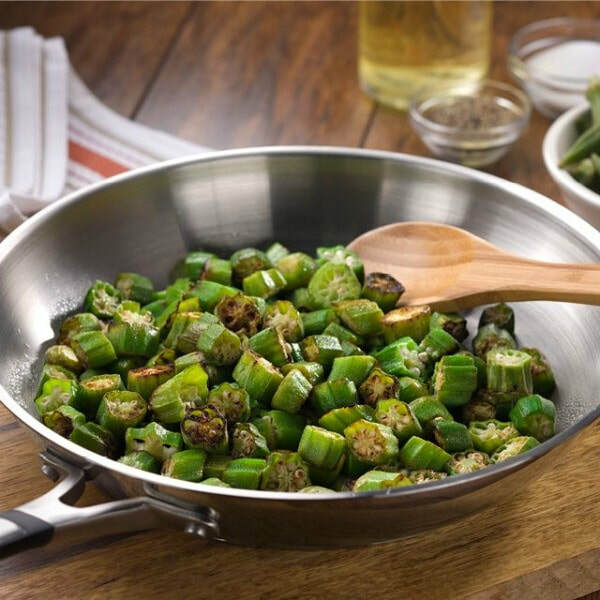 Heat a large sauté pan over high heat on the stove, add the okra mixture, turning often with a wooden spoon or spatula. Cook until okra is browned, about 10 minutes.